A stone’s throw from the Colosseum. Our rooms are comfortably appointed and the atmosphere is friendly and relaxed. Being our guest you can always count on our help. We can give you advise whenever you need it in choosing the most interesting spots to visit in Rome and the best means of transport. The neighbourhood is very safe and charming, perfect if you want to stay in the heart of Rome at a surprisingly affordable rates. Everything you need is just a few minutes away on foot: great restaurants, cafés, boutiques, supermarkets, and a broad range of shopping opportunities. Downtown Accommodation with it’s superb location (the Roman Forum is literally down the street! ), warm atmosphere and very friendly staff invites its guests to spend an enjoyable holiday in Rome. 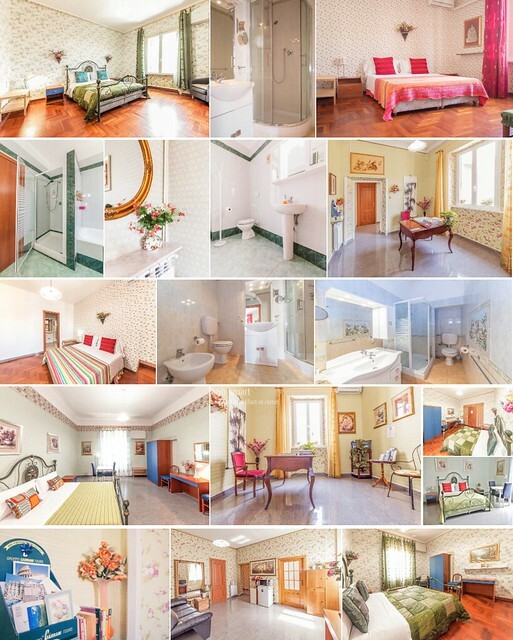 Please take a look also our another excellent B&B in Rome, featuring huge, quiet and extremely large rooms! "B&B Smart is perfect for visitors looking to see Rome for less, providing a friendly welcome, comfy bed and hearty breakfast right in the centre of Rome."